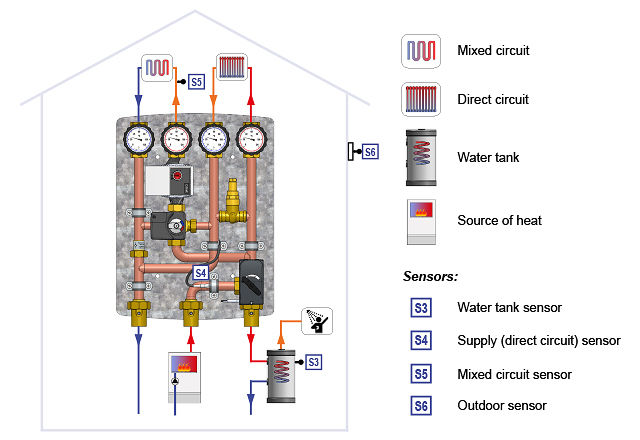 "Logico" is an innovative hydraulic module that allows to manage a direct heating circuit and mixed heating circuit as well as the production of domestic hot water. 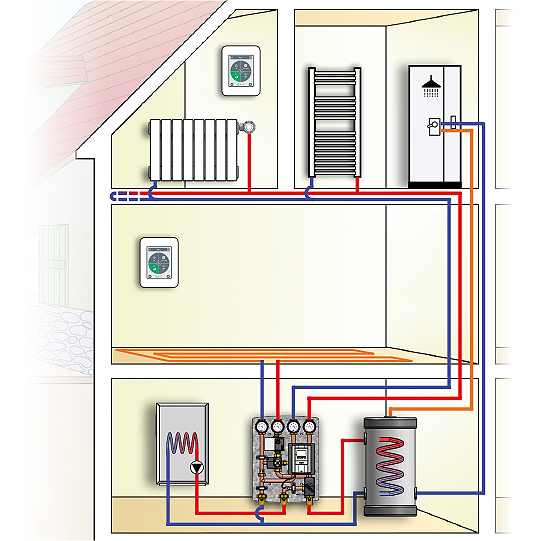 The particular circulation of the hydraulic fluid inside the module ensures its return to the source of energy at very low temperatures: "Logico", combined with a condensing boiler, heat pump or solar thermal system, ensures in a simple way the immediate maximum energy efficiency of the complete system. Logico is easy to install: it is fully assembled and the control unit is already pre-wired. 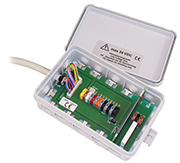 A connecting box facilitates the electrical connections of the external components to the module. The functions of each circuit can be set-up from the room, using a stylish programmable room thermostat (optional) equipped with a capacitive touchscreen. 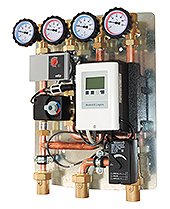 The heat generator is directly connected to "Logico" neither the distribution manifold nor the hydraulic separators or additional circulators is necessary. "Logico" works with a single circulating pump. Logico is installed vertically with hydraulic fluid circulation from bottom to top or vice versa; in this case, the control unit can be rotated by 180°. Centre distance: 90 mm to the circuits; 125 mm to the generator. EPP insulation box (Dimensions: 400x516x180 mm). A special back plate allows a quick fitting to the wall. 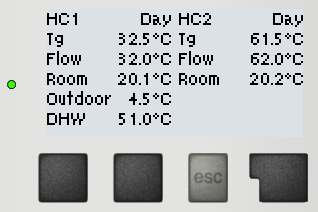 PN 6, max temperature 95°C. Maximum total power: 35 kW. 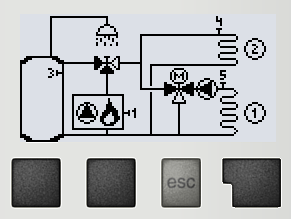 Maximum power of 35 kW (with ∆t 20 K) and a maximum flow of 1510 l/h. 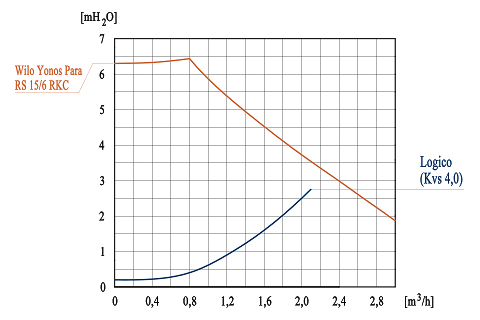 Maximum power of 12 kW (with ∆t 8 K) and a maximum flow of 1300 l/h. Maximum power of 35 kW (with ∆t 15 K) and a maximum flow of 2010 l/h. Requirements: the source of heat must be equipped with circulating pump. 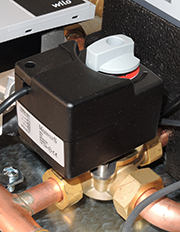 Otherwise, the "Logico" controller can manage an external circulator, with the support of an additional sensor. Proportional actuator with 90° working angle. Manual operation selector. A special connector allows the servomotor to be replaced in the case of failure or malfunction, without work on the electrical wiring. High efficiency circulating pump with variable ∆p to control the differential pressure or progressive control for the constant speed. In compliance with European Directive 2009/125/CE. Low energy consumption from 3 W to 45 W.
Climate control with a large LCD screen to manage the selected hydraulic system. 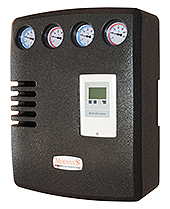 °Caleon room unit (optional), power supply 24 VDC (output).